But after six months of shopping once a month (or sometimes once every 6 weeks), I'LL NEVER GO BACK!!! This has made my life so much easier - because I'm a creature of habit it's become necessary! Of course, everything I write is clear in my own mind. But if I've confused you or not been clear, please ask me okay? The goal for me was less stress and more savings. Why do you want to do it? I got very interested in doing a monthly shopping trip because frankly, I used to refer to shopping day as "the DREADED shopping day." I get paid consistently every second Thursday, the day the flyers switch. 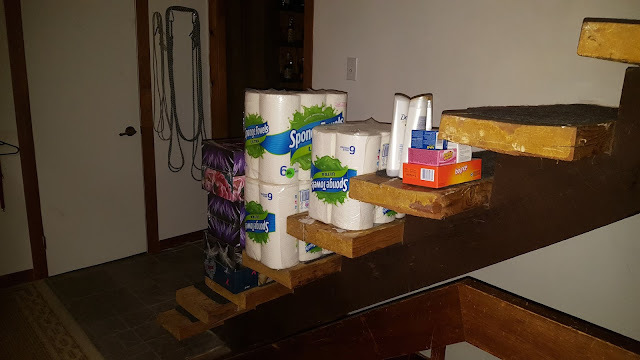 Most flyers are available online on the Tuesday evening or Wednesday before...so my Wednesdays were horribly stressful, where I waited on the flyers, checked what was on sale, and had to come up with a meal plan for 2 weeks; and a shopping list (that fit in my budget). Then I'd rush out on Thursday mornings and, being already stressed out, I would really have a hard time with the society aspect (bad drivers, impatient shoppers, nasty clerks etc)...All of this caused me to hate the DREADED shopping day and meal planning. 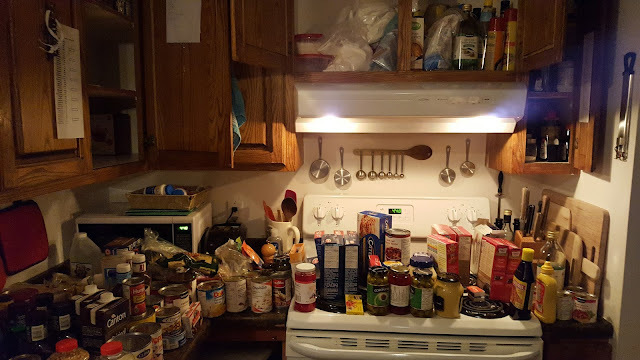 Because I never wanted to go grocery shopping on Fridays and weekends, it all fell to Thursdays (paydays).I was so anxious that I had to make a change because Alex and I knew in advance that every two weeks, there would be a three-day cycle where I couldn't eat solid food, then I had to sleep much more. It actually became debilitating for me, no joke! 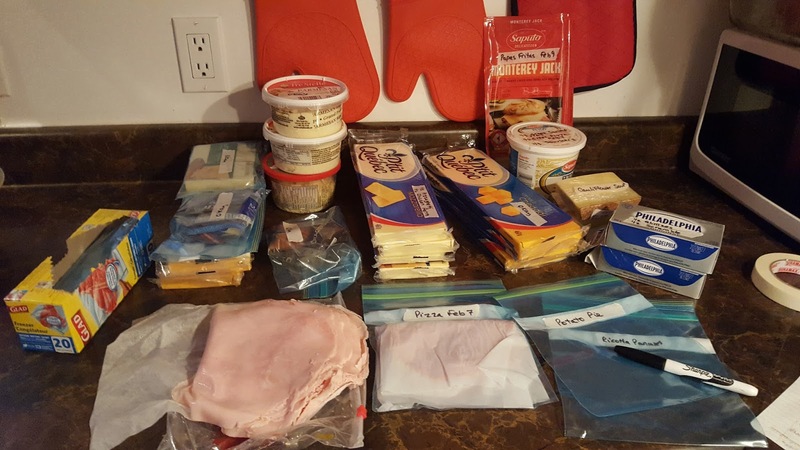 Last summer, I started to read an article called Freezer Meals from the blog Happy Money Saver. This got me more interested and I kind of came up with my own method. I think it's great to read how other people do it and you can really find lots of information online about monthly shopping, storing food, freezer meals, one pot meals, slow cooker meals, eating with the seasons etc...all things that help with this process. I thought about how I perfected the monthly thing, and I came up with eight steps that I took. I also wrote a bunch of tips that came to mind as well. So grab a glass of wine and enjoy. I hope my experience will be helpful! This is the most important step because if you don't have a month's worth of grocery money you can't do it. For me, living paycheck to paycheck never afforded me enough money to buy more than 2 weeks of groceries at a time. Could I really afford to buy all the groceries and household items we'd need in one trip? At that point the answer was NO. I had no extra money, but I really wanted to do it!!! So last summer when I was thinking more and more about this, I started to put a wee bit of extra money aside each payday. I also got a little increase on my credit card. So in November, I was able to start. Step Two: Assess your time, energy levels and palate. I don't work, so I have time to do a lot from scratch. I can put a big meal together for dinner every night. But if you work all week, you have to figure out what kind of time you have to dedicate to making your dinners. You might find that 5 freezer meals (prepared on the weekend) is your perfect solution. Or you might find that easy pasta dishes, slow cooker meals or casseroles will fit into your schedule. Energy levels is linked to your time. Are you pooped when you get home? Freezer meal to the rescue! Do you have energy? Then you can make something from scratch! You have the money, time, energy, palate and preferred methods all figured out. Now you have to figure out your meal cycle. Will it be the 1st through to the 30th? Or are you like me and plan meals according to paychecks? My cycle is easy. 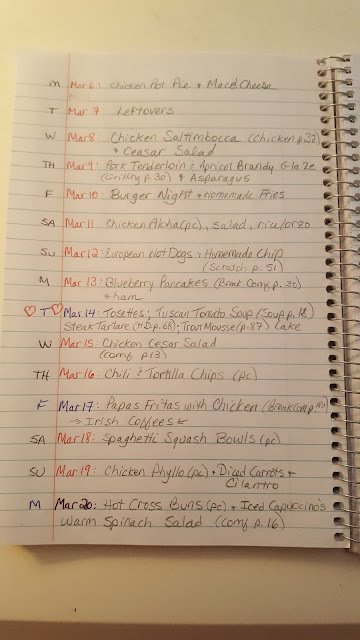 My monthly meal cycle is: Tuesday April 18th through to Monday May 15th (28 dinners); May 16th will be my next planned shopping day. Very important! The first time is the most time consuming. Go through your pantries, freezer(s) and fridge(s) and WRITE DOWN what you have. Keeping a running inventory helps SO MUCH as long as you remember to update it as you take things out. I have a few lists with our inventory. When we take things out, we update the quantities. We also have a paper taped to the fridge "Shopping List". When anything from the inventory reaches zero, we write it on the shopping list for next month. This saves me from having to re-do a full inventory each month. Although I do admit, I'm quite sure I will have things in there that will surprise me next time I do a kitchen clean up! Step Five: Plan your meals - but plan more than 28! You've got it all figured out! So now you can start looking through cookbooks, Pins and food blogs for ideas. This is where I let myself go. Usually a week before shopping day, I start looking at recipes and jot down about 50 ideas. Also, I keep a little notebook with "Ideas For Next Month" if I come across a recipe that looks really good, so I go through that as well. I just write down a list of numbers, one through 28 and put a meal idea next to it. Then I will write up to 10 "bonus meals" in case I need to switch meals depending on sales or special events. At last I write out 10-15 "maybe" ideas. All comes together for me when I see what's on sale. I usually have 2-4 "leftover" days too because that inevitably happens. Don't forget holidays and special days! At the beginning of March, I had to remember to buy Easter chocolate so I wouldn't have to go out another time! - Keep your inventory in mind as you write down recipe ideas. Try to use what you have. - Write down recipe ideas for every meat/seafood you like. I only buy meat that is on sale, so, for example if shrimp isn't on sale (OMG it's expensive! ), then I refuse to buy it. So the two shrimp dinner recipes I wanted to make will have to wait for when it's on sale, but since I wrote down about 50 recipe ideas, it was easy to choose something else. Although last week, I had shrimp scampi and Greek shrimp in my plan, I will just substitute the shrimp for chicken and it'll be just as good! 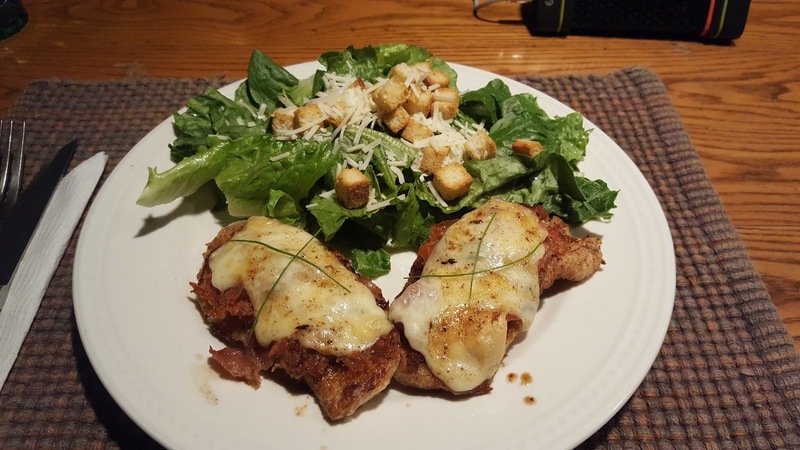 - Plan quick easy meals for weekdays if you need to. Plan easy slow cooker recipes that will cook all day while you're at work or plan casseroles that you can freeze. Work with yourself while you do this, be realistic. - If you eat breakfast and lunch, write all that down on a separate list - even if you eat the same ham and cheese sandwich every lunch for your life! Write it down to determine how much bread, ham and cheese you need for a month. Bread and ham freezes well and cheese lasts forever. Determine if you can make ahead as well. If you eat breakfast, you can be prepared so it's not a huge rush in the morning. At one point, I made 2 dozen Ham and Egg Cheese Cups when we were eating more breakfasts. I just froze them and took a few out and they were easy to heat up with a piece of toast in the mornings. Also if you plan on desserts, don't forget ingredients for those too. In my case, since flyers come out on Thursdays and I shop on the following Mondays, I have about five glorious relaxing days to read each flyer and make a list of their specials. When I shop, I go to the next biggest town, and on the way I have six grocery stores and two pharmacies at my disposal. So I normally leaf through 8 flyers. But I also check box stores like Canadian Tire because it's right next to one of the grocery stores and if something is on sale there, it won't cost extra gas money to walk over and save myself a few dollars on paper towels or something like that. My shopping list has columns for each store. If I need 20 breasts of chicken and it's on sale at Loblaws, then it gets listed in the Loblaws column with the estimated price next to it. I'm a former financial manager, and my "go to" program was Excel. I LOVE it...then again, I'm a nerd who loves budgets, calculations and formulas! :) I use Excel for my shopping list. Because I have to keep within a certain budget, I always estimate cost including taxes when I make my shopping list. 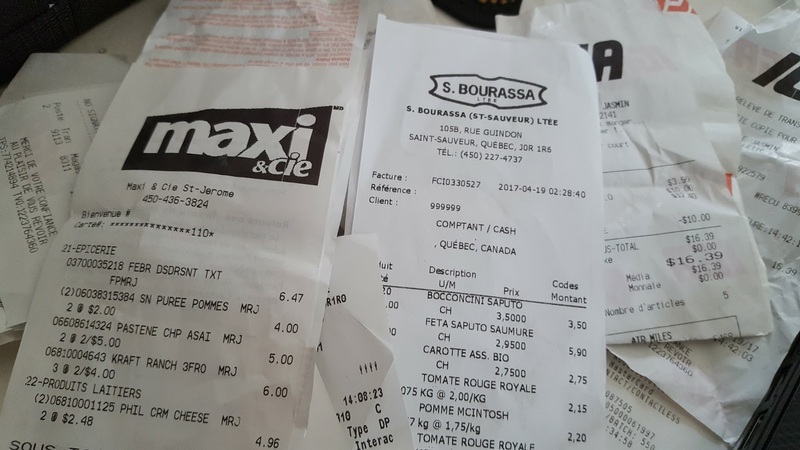 In Quebec it's easy, with GST (federal tax at 5%) and the QST (thieving provincial tax at 9.95%), I do this calculation: [cost before tax] x 1.15 = total cost. (I round up the QST to make it easier to 10%, so my taxable groceries cost 15% in taxes more, ugh). If I only put $3.99 in my estimated expense column, I'd be going over my budget every time, so I'm really careful with that. If you don't need to be so calculating, I applaud you!!! :) Here is a sample of my last shopping list because I don't want this to be confusing. Wherever I can't find a sale price, and I still need the item, I'll estimate. For example in the first column, I estimated Body Wash at $8.00. If I'm lucky, I get to the store and find it is less than what I've estimated. But I always try to overestimate instead of having high-priced surprises at the last minute. And, under the title "2nd Payday", I include the mid-shopping month produce shopping that I now do (I've gone into detail below); so that it's all part of the final budget. At this point, I make sure to add things like wine and alcohol, sweets and some snacks that I can't make from scratch, toiletries, paper products, pet stuff, dental, Breatherights, meds, kitchen supplies, garbage bags, household cleaners, freezer and food wrapping supplies, special day supplies (like Easter chocolates), gifts... etc...everything and anything we will need for the next month. If I don't know the price of something, I estimate it. Then I calculate everything and total it. If I'm over budget, I take things out, or go back to the menu plan and shift or change things around. I've had to do this a few times to fit into a tight budget. Then after I think I'm okay, I press PRINT!!! :) Both Alex and I know that once I get the list printed, it's FINAL. This helps us to think of everything we need before I print the list on Sunday nights. I can't handle last minute budgeting and adding things. Since I started the monthly shopping last fall, I've realized that I miss fresh produce way too much. 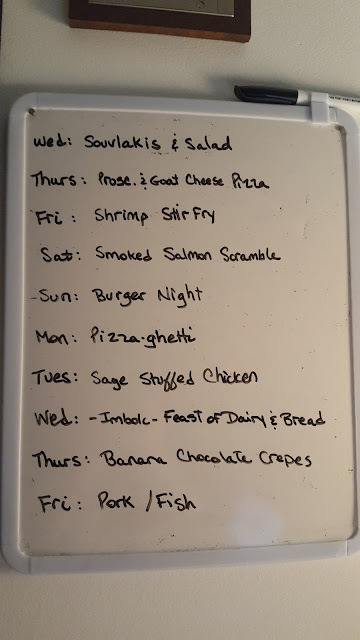 I used to plan the fresh stuff for the first 14 days of the meal plan, then use frozen stuff for the last few weeks, but that wasn't good for the palate. I still do the BIG shopping once a month. But one time in between I will make a trip to the market to pick up more produce. So, even though my Final Shopping List includes a month's worth of produce, at this point, I look at my meal plan and estimate what I'll need to go back for in two weeks time so I can have it fresh. But it still stays in the initial shopping list so that the cost is allocated. Around the time of my second pay (in my monthly cycle), I also check two weeks worth of flyers that are usually available online. If I see chicken on sale, I'll stockpile at this point while I'm out. I've made the mistake before of relying on one week's worth of flyers when NO chicken was on sale and I had to scramble and use what we had. Not good since we eat lots of chicken. Sometimes you do need to deviate from the plan because I personally am willing to spend $10 in gas just to pick up a bundle of chicken that will save me $40 in the long run! 2. Bring something to drink and snack on...no spontaneous spending! 3. Prepare the night before: load the car with bags, boxes, cooler, cans/bottles to return. 4. Fill up on gas ahead of time. 5. Keep your list with you and write down a list of approximately how much you are saving (having overestimated an expense) or worse, how much you underestimated...that way you will kind of know if you're saving or spending too much as you go. For me, I need to be really right on track, so if I see I've overspent by $10, I cut something out at the last minute so I don't go over my budget. 6. When you get home, keep all your receipts together. You can refer back to them to make your expense list for next month...or if you have the energy, make a "Price Book"...which I'm doing! I write down the date, the store, the item and the price of the things we use the most. That way, NEXT year I won't be surprised when chicken isn't on sale for a few weeks...usually the price cycles are very accurate. I do remember this time last year around Easter, struggling to pay $8.99 a pound for chicken, eek. This is a long term thing, because if I notice that chicken doesn't go on sale all of April for two years in a row, except maybe for the first week, then I'll be able to plan ahead and buy more in March and freeze it. 7. Check your items, make sure they look good, and check expiry dates. Remember those grosse sprouts...don't just mindlessly fill up your cart! 8. If someone stresses you out, just breathe and take your time, there is no rush because that's your dedicated day to shop. Enjoy the process...don't be tempted to derail from your list though! - Planning is EVERYTHING. If you're more the spontaneous type, this might not work for you. If you like to plan your meals the morning of, then monthly shopping won't work because you might always need something else for the meal. Or you might overspend because you think you need 30 days worth of meat, and in the end, you only used meat 20 days and had pasta meals for 8 days...if money isn't an issue, then you can just freeze what you overbought. But if you're doing this, like me, to save money among other things, then overspending can't happen. So the planning process is really crucial. - I cook every day. But if you plan ahead, you can make 28 freezer meals! 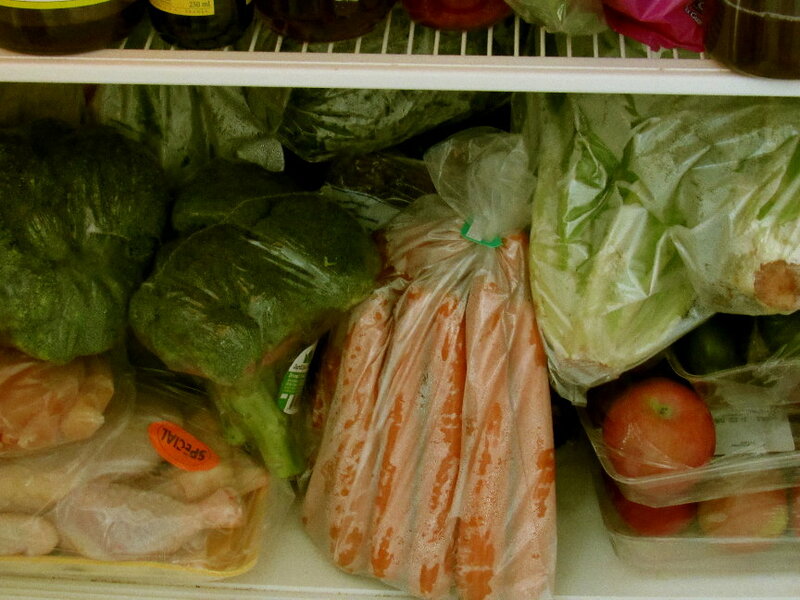 If you have the space in your freezer and a good packaging system! I wrap all freezables in foil first, then I label them, then I wrap them in freezer bags. This has worked well so far until I can afford one of those sealer machines. I am not the type to eat too many freezer meals, but if you like them, do it! 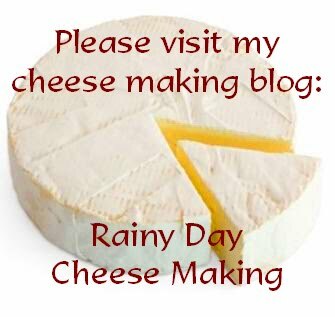 There are lots of blogs and sites out there that give great tips on how to batch cook for a month. For some reason they are mostly written by pregnant women!!! I guess getting ready for the aftermath of birth? - I use my freezer for most things. If I'm going to be using veggies that are cooked in a dish, I blanch, wrap, label and freeze them. It's also important to store food the right way. If you store parsley the right way in the fridge, it will last 3 weeks. I refer to these sites for tips on proper food storage: Still Tasty and Eat By Date. - You need ROOM. The first time I did this, I couldn't figure out how to fit 4 dozen eggs and 8 liters of milk in my fridge!! Not to mention 2 10-pound bags of potatoes...since then, I've researched on what can be frozen and what can't, like milk can be frozen, but potatoes can't. We have a tiny kitchen at our rental, so we put a lot of pantry items in boxes in the basement and refill the pantry when we have room. Four packs of paper towels take up lots of space, so they go in the basement too. Speaking of room, can your car handle the load? We have to buy our water, and if we didn't have the SUV, I could never fit 5 big jugs of water in the car! - Plan a shopping day where you know that THAT'S the only task you need to do that day. This whole thing is to REDUCE stress right? When I go on Mondays, I shop leisurely. When you get home, if you have the energy, you'll be labeling and freezing and storing things properly. 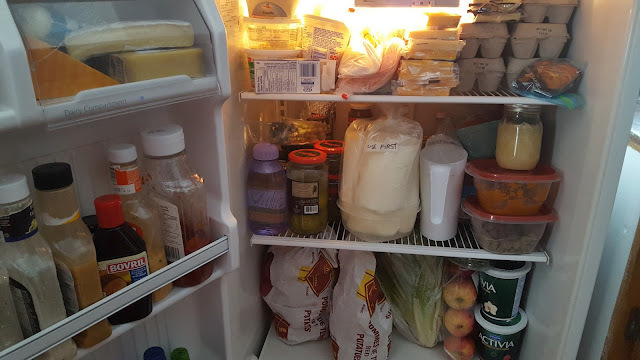 I sometimes do this right when I get home, or I just shove everything I can into the fridge and do it the next morning. Alex helps me though, and we nibble on Brie and bread and sip on some kind of cocktail or beer while we're doing it, it makes it a pleasant, relaxing task. And he usually makes dinner on shopping day or I have a freezer meal ready to go. Plan ahead, get some help if you can, and make your life easy. If you're doing the shopping and you have a boyfriend/husband - ask him to make dinner. - As you're doing your menu planning, write down what you'll need to label. For example, we eat a lot of cheese. 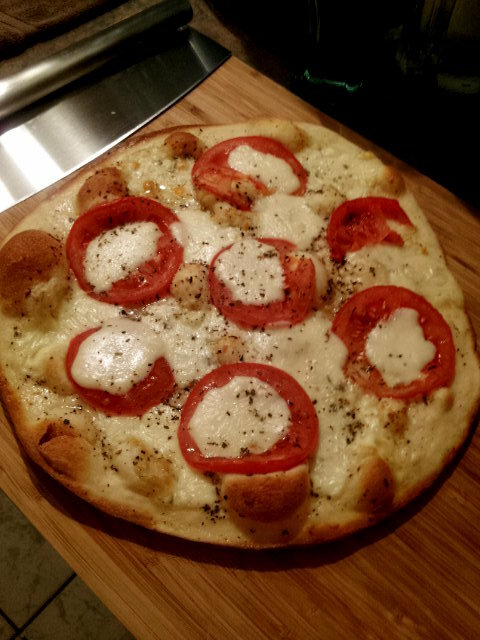 So if I know that one brick of Mozzarella is going to be used for a pizza and a stromboli, then I label it. Whatever is not reserved, I write "okay" on it, so both Alex and I know we can munch on it without using up something planned for a dinner. I do the same for sour cream, bacon, ham, all the meats etc...if it's labeled, half the work is done and there are no worries or confusion! - USE REWARDS CARDS: I use only my Canadian Tire Mastercard credit card now for all purchases. I put all of my monthly grocery/gas, pet food and etc.. money on the card because I use it and pay it back immediately, it increases my credit score. Also because I use it for everything now, I easily accumulate at least $15 in CT money every month, so that helps with whatever I need to buy at Canadian Tire! I also have rewards cards for all the stores where I purchase, including the pet store. I get free stuff every month, anywhere from $5.00 up to $10 worth on each card, I'm serious, it pays off. 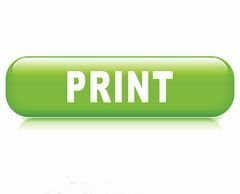 If I come across a coupon I will use it, but I'm not a coupon-clipper and don't see the value in printing out coupons when it costs $30 to replace a print cartridge a few times a year! - Buy online whenever you can get free shipping. Our pet store offers free shipping on orders over $75. Because we have 6 pets, it's easy to get to that $75 each month on pet food and dog bones. It will save you going to one extra store, lugging the items in and out of the car, and a little gas money. - I keep a dry-erase board close to the kitchen and write down a week or so's worth of dinners. This is another reminder for me of what's on the menu. I keep it open though, because some nights we both just NEED PIZZA!!! :) So I switch things around accordingly AS LONG AS it doesn't mess up my produce plans! My motto is NO WASTE. - COOK FROM SCRATCH as much as possible. A bag of flour, a tin of yeast, some salt and some water will save you money and freezer space rather than loading up on 6 loaves of bread. Making your own yogurt at home and adding some maple syrup will save you so much money. One pint (half a liter) of homemade yogurt costs me $0.81. The cheapest I've ever seen a pint of yogurt here is $2.99 on sale but then they force you to buy 6 of them to get that price. Once in a while if I have the budget for it, I'll buy Activia yogurt on sale because Alex loves the cherry one, but otherwise, it's all homemade. That goes for Ricotta cheese too. Do your homework! - If you have leftover money in the budget, buy MORE of what's on sale. Whenever I see maple syrup on sale, I buy 10 cans of it because we use it so much. I may buy one less 6-pack or two of Kleenex that week, but it's worth it in the long run. Same with things like shampoo, toothpaste, bread crumbs, salad dressing...when it's really cheap, buy more than you need if you know that you WILL use it. - FLYER TIP: I was told that whatever the stores put on the front page of the flyer is what they are potentially losing money on. That means, usually the front page holds all the best specials. The stores are willing to lose a few cents on these items to get you into the store to buy their more expensive items to make up for the front page loss. So don't fall for that trap, buy what's on sale, but if you can, do your shopping wherever the items you need are the least expensive! - Buy bacon, (some) cheeses and cold cuts at the deli counter - MUCH cheaper. Use the butcher to get the amount you NEED instead of pre-packaged meat. Same with the bakery section, you can ask for 5 ciabatta rolls and they will package it for you, instead of buying a bag of 12. - I use Google Calendar to remind myself of things. Like, if one night we're going to have Chicago Deep Dish Pizza...I know from reading the recipe that the dough takes SIX HOURS to rise. In my calendar, I'll put a note to start the dough early. Or if I need fresh bread for a meal, I'll put a note to start it the day before. If I'm really organized, I don't get overwhelmed. - Having a notebook with previous month's worth of meals also helps to remind me when we ate what. There was a time when I was making chicken fricassee every week, forgetting that I'd just made it. We got so sick of it that we haven't had it since last year. We love to eat and looking back on my notebook helps me not to repeat the same meals too often. I also write little notes "liked", "LOVED" or "ick" with notes on changes to make or what we loved about it. When you cook new recipes often...it's hard to remember sometimes what you liked or hated about it! - Of course this year I'll be relying more on my upcoming garden and my seed sprouting to reduce my shopping and grocery expense even further! Remember that this is a process! It might take you a few shopping days to perfect your own system, but don't give up! You'll find it's really worth it! Oh. My. This is GOLD!!! Thank you, thank you for taking the time and putting it all down - that must have been quite time consuming for you so I am very grateful that you did this for those who are curious and wondering if we too can do this! I think I can do this. Its going to take some time (more I think that I originally thought) but I love lists and am super organized so this intrigues me to no end! My brain is swirling with ideas. First thing I need to get is a notebook! I think I could find something decent at the dollar store. Our taxes total (with GST and PST) is 13%. Can you say ridiculous! 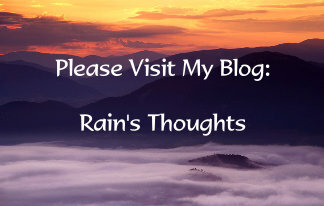 I am going to read and re-read this post several times and make notes and make plans! You're very welcome Dianna! :) I did spend the morning doing it, but you know...I learned from reading other people's blogs and tips, so I figured why not make it complete? I think another great thing is having a notebook. I don't like using the computer for everything and it kind of makes it a fun little hobby too, the Shopping and Menu Book! I got a few at the dollar store too last year and they work fine. I made mine pretty with that orange watercolour! And I have bookmarks to keep to the current month. It just comes down to planning and organizing, and making sure you are thorough. But you'll make mistakes, that's when you learn right? I love how much free stuff I get by using the reward cards too, and the CT money. I get something free monthly because of that. Last week I saved 1/3 on our fishing license because I had $11 in CT money on my credit card. It might be worth looking into a credit card that has cash back or some kind of reward system. The taxes are just horrible. Who pays that much??? And why do we allow it? We have no choice I guess! I certainly don't get it all back when I do my taxes each year...anyway, best not to get too upset about it because we can't change it! You may spend more the first month because you kind of have to stock up on stuff...but if you keep your expenses written down, it'll help you. Like, the first month I spent about $50 more than I would normally because I needed extra storage stuff like tupperware, foil, freezer bags etc...over the next 3 months, I deducted $15 from my budget to make up for the extra I spent in November. If you can work with the flyers, it's so worth it! Let me know how you're getting along! :) I stayed up late last night browsing sites for ideas, recipes, etc. :) Then I got overwhelmed and didn't sleep but that's ok!! That's just me and the way my brain works. I typically do most of my shopping at Superstore. I have their mastercard and you gain points which can go towards free groceries. They have no annual fee (bonus) and every dollar you spend you get 10 PC points. Plus if you gas up at Esso there's points collected there too. I have about 90,000 points currently (just used them up awhile ago) and that is $90 towards your bill. :) I like that deal! I get my produce elsewhere because I do not like Superstore's stuff. It goes bad very quickly and I wind up tossing alot of stuff which gets me mad. I know this will take some planning and if I can get my brain organized enough I am thinking the fall for getting a routine established. I know full well that if I try to do this in the summer I will set myself up for failure. I am just too busy in the gardens to try and get this organized. I do have a list I pulled out from somewhere that I have been keeping around for about 100 years and its called The Stocked Pantry. I am going to go thru that today and check my cupboards and my pantry and start the ball rolling! I am excited for this. Thank you again! Dianna, I think that Superstore is the same as Maxi and Provigo here in Quebec. And Maxi normally has the lowest prices. That's where I buy most of my stuff unless I find it on sale cheaper at one of the other stores. They also have a reward card and about once a year, I get $20 worth of groceries, I LOVE that! :) I don't buy my produce at the supermarket unless I have to. We have a market here called Bourassa and it's all fresh produce with a cheese and meat shop too. I love it and will miss it terribly when we move! But they sell in bulk. If I want celery, I'd have to buy 3 heads in a bag. Yes, it comes out to less, but one head of celery is already too much for us lol...so that's something I'll buy at Maxi, or wherever it's the cheapest. The only gas station around here that has a reward card is Esso, but it's very far from me and I usually gas up at the local place just out of convenience. I wish they had some kind of reward! But I'm trying to support the locals here too. It's good that you know your limits! If you don't have time right now, it would be too stressful to start. You can always start slow too. Plan 2 weeks of meals for a while and see how that goes. Or learn how to do batch cooking for a week, see if you can fit that in your schedule. Then in the fall when you have more time, move to the monthly planning. My biggest challenge was space and storage. The rest for me was easy. I hate frozen veggies, but sometimes you have no choice. I would much prefer a quick second trip for produce. But during the winter, I admit I refused to even do that, I wanted to drive as little as possible.